Should I lease a mobile phone? If you’re hunting around for a new mobile phone on a plan, you might have seen the opportunity to ‘lease’ your device, rather than pay it off over a traditional two-year contract. It’s still a relatively new option for buying a smartphone in Australia, and it’s only available from Telstra and Optus – and even then, only on certain devices. Although a mobile lease plan can save you money, it’s not necessarily the best way to get your hands on a new device. Find out why leasing your next phone may or may not be a good idea with Canstar Blue. What does leasing a phone mean? Most phone-on-a-plan offers mean you’ll pay off your handset as part of your total monthly plan cost. Customers sign a contract for a specified plan term – usually 24 months, but sometimes 12, 18, or 36, depending on your telco. You’ll make a payment for both your plan and phone each month until your contract is up, after which your device is officially yours to keep. If you want to cancel your plan early, you’ll need to pay an early termination fee to cover the remaining cost of your smartphone, but otherwise it’s a fairly straightforward agreement. However, both Telstra and Optus now offer customers the choice to lease selected high-end smartphones, rather than buying on a standard contract. Basically, a lease agreement works the same as buying: you sign a 24-month contract, take your new device home, and make monthly payments for both your mobile plan and phone. But rather than paying off your phone and owning it at the end of your payment term, you’re instead leasing it – meaning you don’t actually own the device, even after your contract ends. Once your term is up, you’ll need to return the phone to your telco in good working order (a damaged phone means you’ll need to pay an additional fee). If you’d prefer to keep your device, you have the option of making an extra final payment to buy your leased phone; otherwise, simply give back the handset, and you’re free to buy or lease a new device from your telco. Unlike buying plans, lease contracts also give customers the option to upgrade their phone after 12 months of payments. Once your first year of leasing is up, you can swap your device for an all-new smartphone, but you will need to pay extra: upgrading incurs a $99 fee from both Telstra and Optus. Once you’ve paid this fee, you’ll need to hand in your current leased device (again, in good working order), then sign a new 24-month agreement for your new phone. Customers may be attracted to a phone lease plan due to the difference in price. Generally, leasing your phone will save you $10 per month when compared to buying on an equivalent plan from your provider. However, if you do decide to buy your phone later, this price difference may be wiped out by the extra fee you’ll need to pay to own your handset. You like to upgrade your phone frequently. You’re looking to save money on your monthly phone bill. You don’t care about owning your phone, and don’t normally re-sell your old smartphone when you upgrade. You’re careful with your devices, and rarely damage your phone. Currently, only Optus and Telstra allow you to lease your phone rather than buy, and the option is only available for selected devices. Each telco’s lease program is essentially the same, but there are a few key differences. Telstra’s Mobile Lease Plans are the telco’s alternative to its standard two-year phone-on-a-plan options. Mobile Lease Plans are offered on a 24-month basis, with the option to upgrade to a new phone after 12 months. Leasing is only available on selected, higher-priced smartphones. Currently, you can lease the following devices from Telstra. Telstra’s Mobile Lease Plans are essentially the same as its standard mobile plans – you’ll get the same plan inclusions at each price point. However, you’ll pay $10 less each month to lease instead of buy, and can upgrade to a new phone after 12 months of payments. At the 12-month mark, customers can hand back their leased device to Telstra, pay a $99 upgrade fee, and take home a brand-new smartphone on a new 24-month contract. The $99 upgrade fee applies if you decide to swap phones at any point between 12 and 18 months after signing your agreement; after 18 months, you can upgrade for free. Of course, if you return a damaged phone – either when you upgrade, or at the end of your 24-month contract – you’ll be required to pay extra. Minor damage, such as a cracked screen, incurs a $299 fine, while major issues require a fee of up to $499 in the first 18 months of your contract, $399 in months 19-24, and $299 at 24 months. If you decide not to upgrade your phone, and it’s still in good working order after your 24-month contract ends, you can then return it to Telstra with nothing more to pay. But if you’ve grown attached to your leased device, you can make a final additional payment and buy it from Telstra. How much this will be is determined by the phone’s ‘fair market value’ when your contract ends. The $10 monthly discount earned by leasing means you can save up to $240 over 24 months on a Telstra Mobile Lease plan. But again, if you end up damaging your phone, or you decide to buy it later, you may end up paying more overall when compared to a standard buying plan. Optus’ lease plans are called My Plan Flex, and are offered on a 24-month contract (with the option to upgrade after a year). Optus pushes the flexibility aspect of these plans, as well as the convenience of being able to trade in your phone for a newer, hotter model after only 12 months. My Plan Flex lease plans are available with the same talk, text, and data inclusions as Optus’ standard My Plan Plus buying plans; the main difference is that Flex plans are $10 cheaper each month. Once you’ve signed up, you’ll then make monthly payments over 24 months, but you can upgrade to a new phone at the 12-month mark. To upgrade, you’ll need to pay a $99 fee and return your phone in good working condition. You’ll then sign a new 24-month agreement for your next device, either to lease or buy. You can upgrade at any time after 12 months, but keep in mind that the $99 charge applies no matter how little time is left on your contract – so if you do plan to upgrade, you’re better off doing it as soon as the option is available. If you want to upgrade a damaged phone, you’ll need to pay extra. A cracked screen incurs an upgrade fee of $299, but more substantial damage – including phones that can’t be unlocked – may cost you up to $499. This $499 fee also applies if you return your phone in damaged condition at the end of your 24-month agreement. If you do stick out the full two-year Flex plan, you have three choices once your 24-month term is over. You can return the phone to Optus with nothing more to pay (unless your device is damaged, in which case you’ll pay the fees listed above). You also have the option of extending your lease for an additional two months, at the same monthly price; after 26 months, you’ll then be charged the fair market value for the phone. This ‘fair market value’ charge also applies if you decide to keep your phone at the end of your Flex plan. This price is determined by Optus when you request to buy out your device, and will vary depending on the model and storage size of your phone. However, once you’ve paid it, your once-leased phone is officially yours to keep, and can be used on any SIM-only Australian phone plan. If you do decide to lease with Optus, you can save up to $240 over 24 months when compared to buying the same phone on an equivalent Optus My Plan Plus data plan. However, keep in mind that this saving may decrease if you decide to upgrade, if you want to buy your phone later, or if you damage your phone and still want to return it. There are two main alternatives to leasing your device. The obvious solution is to sign on for a regular phone plan, in which you make monthly payments and eventually own your phone outright. While this does mean your phone won’t technically be yours until your contract ends, once your agreement is up, there’s nothing more to pay and the phone is yours forever. You’re then free to change to another plan or provider, or sell your phone second-hand for some extra cash. If you’ve got the money upfront, you could also buy your new phone outright and pair it with your choice of SIM-only plan. While the phones that tend to be offered on lease plans – namely iPhones, and Samsung’s flagship Galaxy range – require significant upfront cash outlays, this initial investment could work out cheaper in the long run if you opt for a low-cost mobile plan. Unlimited calls and texts, and 1GB or more of data each month can be found from as little as $10 monthly, depending on your provider. While you may not get big data bonuses and other perks, what you do get is value for money. Keep an eye out for providers such as Moose Mobile, Boost Mobile, Amaysim, Catch Connect, Hive Mobile, and Exetel, which all offer cheap 1GB unlimited plans under $15. Many providers offer 3GB or 4GB of monthly data for under $20; so if you’re not a heavy data user, a cheap SIM-only plan is a great way to save money. SIM-only plans are available on both a prepaid and postpaid basis, depending on your choice of telco. 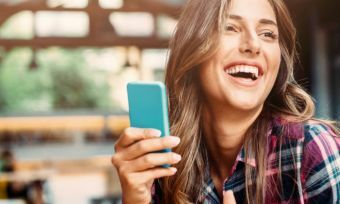 However, to get the best postpaid deals, you may need to sign up for a 12-month contract – something to think about if you value the flexibility to change providers and plans without penalty. Is leasing a mobile phone a good idea? The downside to leasing a phone is that it won’t be yours to keep once your contract is up – unless, of course, you plan to pay extra. However, if you do tend to hang on to your devices for longer than 24 months, you’re probably better off on a standard two-year phone plan. In theory, leasing will save you money, provided you stick out the 24-month agreement and avoid damaging your device. But if you decide to upgrade after 12 months, you’re hit with a new $99 charge – and if you damage your leased phone at any point, you’ll need to pay up to $499 in fees. For Telstra customers, Mobile Swap Assure means that all damages are covered by a flat $190 fee when you upgrade. However, this add-on is priced at $10 per month – cancelling out the $10 monthly discount provided on lease contracts (when compared to a standard buying agreement). If you’re lucky, damages may be covered by your phone’s warranty, or Australian Consumer Law. If this is the case, your device may be repaired or replaced for free, and you won’t need to pay extra when you eventually upgrade or end your lease plan. Otherwise, the money-saving benefits of leasing may be lost in the event of a smashed screen. Overall, if you’re accident prone, not hugely concerned about upgrading annually, like to sell your devices when you do upgrade, or otherwise unsure, a mobile phone lease probably isn’t right for you.